There is no information on the Explosive Marketing website indicating who owns or runs the business. Explosive Marketing is a brand (dba) managed by Rohnewalt Ltd, a Cyprus registered company with registration number HE 253768. Cyprus is a known tax-haven and, in my experience, when it comes to MLM only a registration choice for only less than reputable companies. The Explosive Marketing compensation plan suggests whoever is running the company is actually based in Spain. 4 Star ranked Explosive Marketing affiliates receive a “one time reward” that permits them to “meet the management in Spain”. Another possibility is Norway, with Alexa currently estimating that 60% of all traffic to the Explosive Marketing website originates out of Norway. The Explosive Marketing website domain (“explosive.marketing”) was registered on the 13th of March 2016, however the domain registration is set to private. Explosive Marketing sell lottery tickets through a platform they call Explosive Gambling. No further information is provided on the Explosive Marketing website. The Explosive Marketing compensation plan pays affiliates to sell lottery tickets and recruit new affiliates. In order to qualify for commissions, an Explosive Marketing affiliate must purchase at least one weekly lottery ticket. The cost of this ticket is not disclosed on the Explosive Marketing website or in the compensation plan. There are eight affiliate ranks within the Explosive Marketing compensation plan. Each new Explosive Marketing affiliate must pay a €200 fee. This fee is used to pay recruitment commissions to other Explosive Marketing affiliates, via a unilevel compensation structure. If any level 1 affiliates recruit new affiliates, they are placed on level 2 and so on and so forth down a theoretical infinite number of levels. Affiliates purchasing lottery tickets generates sales volume, which is paid out at a rate of €1 EUR = 1 GV. Note that this includes the €200 EUR affiliate fee. Residual commissions on generated sales volume is paid out via a binary compensation structure. The first level of the binary team has two positions. The second level of the binary team is generated by splitting each of the two positions into another two positions each (4 positions). Subsequent levels of the binary team are generated as required, with each new level having twice as many positions as the previous level. Generated sales volume is tracked on both sides of the binary. For each 300 GV matched on both sides, an Explosive Marketing affiliate is paid €20 EUR. Weekly binary commissions are capped at 2500 volume pairings (€50,000 EUR). If an Explosive Marketing affiliate maxes out binary commissions for six consecutive weeks, they receive two new binary positions (one on each team). These new positions effectively allow an Explosive Marketing affiliate to double up on residual sales volume. Explosive Marketing affiliates earn a matching bonus on binary commissions earned by their downline. When a lottery winner is drawn, the unilevel team who sold the affiliate receive a bonus percentage of the won amount. How much of a bonus percentage is paid out is determined by proximity of the affiliate who sold the winning ticket in a unilevel team. The Infinity Bonus allows an Explosive Marketing affiliate to earn beyond the initial five unilevel level commissions offered. A generation in Explosive Marketing is defined when an affiliate of equal rank is found in a unilevel leg, from the sixth unilevel level onwards. Note that to qualify for any Infinity Bonus, an Explosive Marketing affiliate must personally recruit and maintain thirty-two commission qualified affiliates. Explosive Marketing charge all affiliates a 5% monthly fee on commissions earned. This fee is distributed out equally to all affiliates in an Explosive Marketing affiliate’s unilevel team (based on group earnings within the unilevel team). The Annual Bonus is a bonus percentage paid out of an affiliate’s annual earnings, provided they maintain a Silver or higher rank for the year. Explosive Marketing affiliate membership costs €200 EUR. A legitimate lottery would provide ownership details along with applicable registrations and regulatory filings on their website. Explosive Marketing does none of these things. The distinct lack of information provided by Explosive Marketing instead lends itself to financial fraud. Legitimate retail customers aren’t going to be purchasing lottery tickets with a shady company domiciled in a tax-haven and run by persons unknown. Explosive Marketing take funds generated by those affiliate purchases, pool them and run what appears to be an unregulated lottery. We’ve seen a number of MLM lotteries pop up over the years, almost always originating out of Europe. Explosive Marketing appears to be no different, with the scheme set to collapse once initial recruitment dies down. 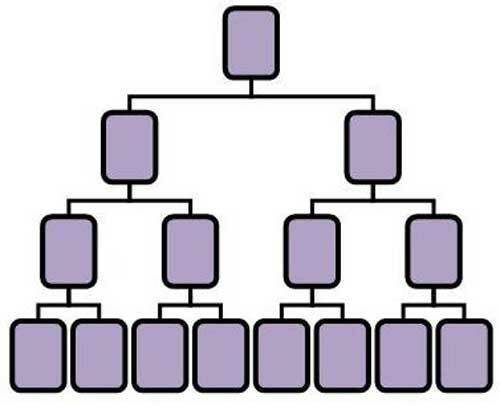 The €200 EUR fee affiliates pay mostly funds the compensation plan, which itself is a pyramid scheme rooted in chain-recruitment. Through the Explosive Gambling lottery, the rest of the funds paid in are distributed to those who paid in. Assuming there’s nothing dodgy going on, which is a big “if” considering what little is known about Explosive Gambling or who runs it, Explosive Marketing is not quite a Ponzi scheme based on this model. It’s still dodgy as hell though, with the compensation plan primarily designed to reward those who recruit the most affiliates.